Not just for the World Cup! With the World Cup in full swing, our blog this week is focused on building great teams. 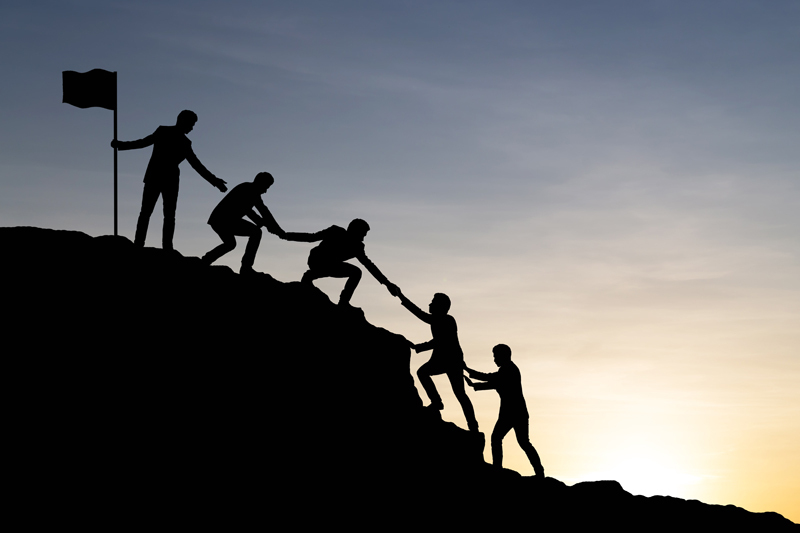 A strong team is the foundation of a high-performing business and a good team ethic can be held largely accountable for the success and smooth running of an organisation. If employees do not gel and work well together, problems can arise, such as poor organisation, missed deadlines and conflict within the workplace. People working in teams tend to achieve better results and report higher job satisfaction. In a 2015 study, executives said that profitability increases when workers are persuaded to collaborate more. So, if a company wants to outstrip its competitors, it needs to influence not only how people work but also how they work together. A recent report by the World Economic Forum, The Future of Jobs outlined the demand for various skills in 2020, and found that more than one third (36%) of all jobs across all industries are expected to require problem-solving as one of their core skills. In this blog, we consider how problem-solving techniques can be learnt by teams to equip businesses with the skills they will require as they face new and complex challenges in the coming years. Training programmes to give your teams and employees the problem solving and team development skills they need for future success. The chances are - like most people - you've been part of teams that worked and teams that didn't. What made the difference? Why do some teams soar while others seem to be just a group of people working together? The most effective teamwork happens when individual contributors harmonise their efforts and work toward a common goal. Good teams don’t typically happen by accident; hard work, commitment and some amount of struggle are usually involved in creating successful teams. But teams that persevere and find ways to create a cohesive group are rewarded with higher productivity, a decrease in internal struggles and a more enjoyable work experience. So, what can teams do to ensure that they are collectively productive and drive their company forward? Here are a few qualities that a successful team should possess. Team members need to have common goals and shared ambitions in order to be as efficient as possible. The team must agree on and set team goals based on outcomes and results, rather than just on the amount of work being done. A clear plan can then be set about how they are going to achieve these objectives, as a group, as well as each individual’s contribution. This provides them with clear direction and gives them something to aim for collectively. While it's important to have a clearly defined set of roles and responsibilities for each member, on the most effective teams, tasks and roles are not rigid. Team members are willing to cross lines of responsibility and do something that may not be in their job description, if that is what’s required to get the job done. They do so collaboratively, though, not stepping on toes, but working with the one who usually has that job. The idea isn't to take over, but to enhance another team member's efforts. On the best teams, all members take responsibility for their own tasks as well as the overall completion of the goal. Each member of the team contributes their fair share of the workload and fully understands what their responsibilities are and where they fit in with the running of the business. They feel a sense of belonging to the team, are committed to their work and really care about the success of the company. Effective teams possess not only technical skills, but also emotional intelligence. In fact, studies have shown that emotional intelligence is more important than the IQ of each team member. It turns out that if individuals are socially aware, the whole group puts in better quality work. The right members bring a diversity of thought, experience and skills to a team. Putting together a team of people who think alike and have similar backgrounds and experiences serves little purpose. Everyone is unique and will be able to offer their own experiences and knowledge that others may not possess. Diversity is needed so that all of the required skills are covered by somebody in the team and each individual can be assigned a particular role on the basis of their strengths and skills. A variety of personalities, age groups, cultures, etc. can also bring creativity and a broad range of ideas to the table. A strong team usually has a leader that they trust and respect. This individual essentially works as the glue holding the team together and should be responsible for setting the pace, offers encouragement and motivation and keeps all members of the team updated. It shouldn’t be all work and no play, so it’s important to inject a bit of enjoyment into working life. A highly effective team will stand the test of time. They will stick together through thick and thin. They will know how to celebrate achievements and how to readjust their efforts after defeats. Many organisations are facing stronger competition, increased customer expectations, and more aggressive delivery deadlines and all these against a backdrop that tolerates significantly less room for error. Each of these developments requires employees to tackle problems and develop solutions more proficiently and more rapidly. Unfortunately, many managers fail to recognise the need to develop the decision-making and problem-solving muscles of their teams. Problem solving is no longer an exclusive responsibility of the management. As an organisation faces new and complex challenges, employees in the organisation must undertake the duty and responsibility of solving workplace problems. For management, the development of creative problem-solving skills in employees is a necessity, not a luxury. The organisation with innovative employees is most likely to survive and prosper. The Future of Jobs report also outlined the top 2 skills in 2020 that companies said they want from their employees and recruits are (1) Complex Problem Solving and (2) Critical Thinking. The report canvassed the opinions of CHROs and other senior talent and strategy executives from a total of 371 leading global employers, representing more than 13 million employees. Overall, the respondents anticipate that in the future, a wide range of occupations will require a higher degree of cognitive abilities—such as creativity, logical reasoning and problem sensitivity—as part of their core skill set. More than half of all jobs are expected to require these cognitive abilities as part of their core skill set in 2020. Assess the impact of alternative solutions. Workplace training designed to develop problem solving skills helps employees to work more efficiently with co-workers, customers, partners and suppliers. GBS Corporate Training offers flexible corporate training programmes created specifically for your organisation. GBS will tailor course content to accommodate your unique business needs or to address skills shortages in your organisation. Through this approach, you can be sure your employees are gaining new knowledge and skills that will be relevant to your company. Also, our in-company training services give you control and flexibility to design training to meet your company’s exact requirements. GBS will develop a bespoke team development/ problem solving solution that is a perfect fit for your HR managers and you organisation. We have designed and delivered programmes for many multi-national clients, helping them to build learning solutions including performance management, people management and developing people. PT205 – Managing Problem Solving course, is a three day, accredited course delivered by GBS in partnership with the Chartered Quality Institute (CQI) which will help a business professional to support problem-solving teams in getting back to the root cause and then arrive at the optimum solution. Our approach to developing the solution is comprehensive and ensures that solutions are developed to correct the problem, prevent it from reoccurring and to share the lessons learnt during the process of investigation. This is one of our five quality practitioner courses and if booked with any other of our Quality-Practitioner courses, can lead you to the gold standard Chartered Quality Professional (CQP) status. Each of our courses are highly interactive, enabling attendees to immediately apply what they have learnt across different business scenarios. Speak with our training experts about your requirements on 01252 618 400 or email us at [email protected].